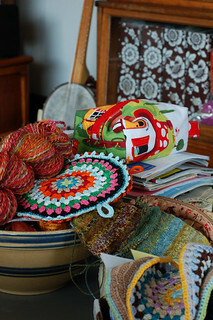 It's potholder crunch time! Poor Mr. HelloYarn barely has a place to put a drink down. I'll have three potholders done by the time this episode of Who Do You Think You Are? is over, though! I'm at the ribbing of David's second sock, too!